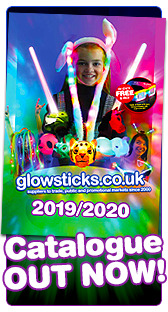 Christmas themed party favourites including Santa Hats and flashing wands for all out festive fun! 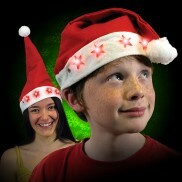 It's time to whip out the festive light up Santa Hats!! Adorned with bright red stars around the head band, perfect to raise your Christmas spirits! 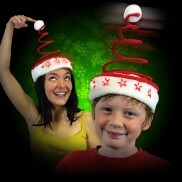 Dress up and spread Christmas cheer in this incredibly cute Light Up Springy Santa Hat! 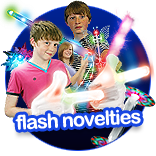 A fun bouncy hat that dances when you do, it flashes too! With flashing plush antlers and a jingle bell, this cute reindeer headband is packed with Christmas cheer! 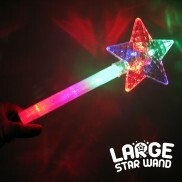 A very bright light up star wand that is a bit of a classic. 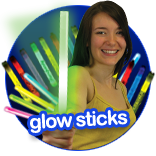 Bright LED lights (with 4 settings) in the star and the stem make it a simple yet highly visual novelty wand. 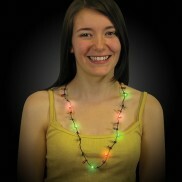 Light up your party outfit with the super bright Flashing Party Necklace! 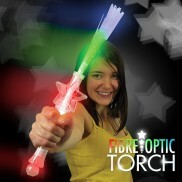 Wear crazy lighting effects that'll really get your party going! 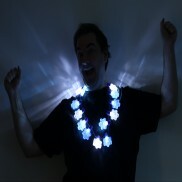 Dress up your festive look with ice cool flashing snowflake necklaces with six flashing modes. 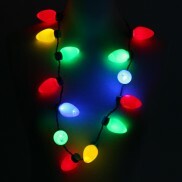 Dress to impress at parties in a flashing bulb party necklace that flashes in three cool modes! 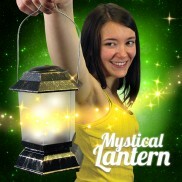 Illuminate your way with magical light from the enchanted Mystical Lantern. Full of charm and mystery, who knows what causes the twinkling light? 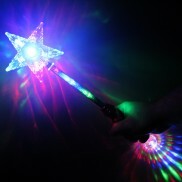 A large 53cm long flashing star wand lit by super bright multi coloured LED's! 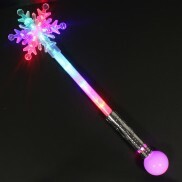 Topped with a large snowflake and packed with multi coloured LEDs, this huge snowflake wand is a must for little ice queens!